Who doesn't like this kind of game? It helps your brain's skills and gives you more time with your kid. That's what I did with my 3 years old son. If I feel that it's time for him to learn other things, this is what we played. We haven't finished the first page yet, for this is really serious hunt. I could not find some stuff. Pretty camouflage objects with the different colors. He loves it and I love it. We bought spent an hour for looking at the object, and gets our eyes tired from searching. A good Family Christmas gift from my Mother in Law last year. 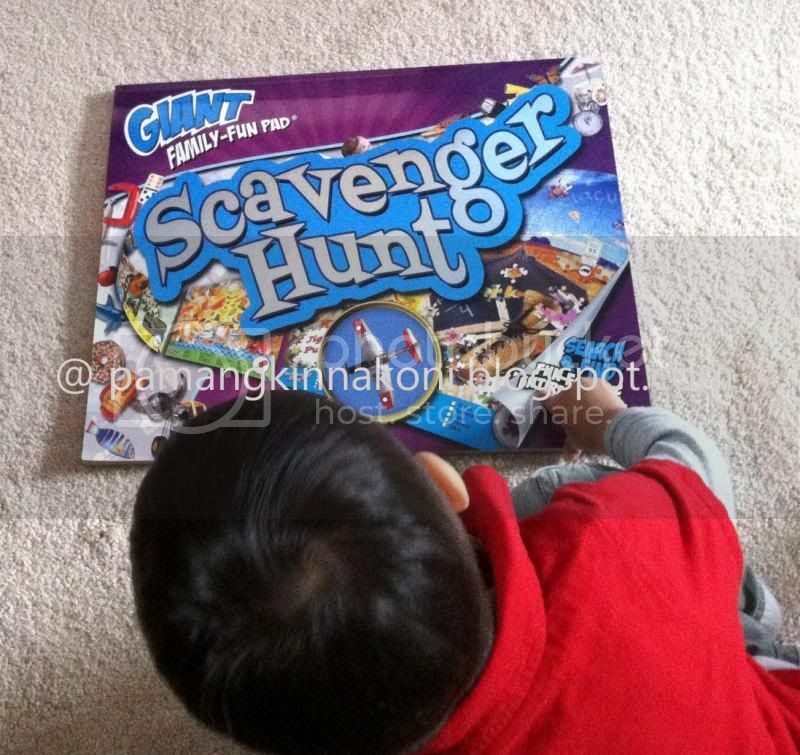 Scavenger hunts is very nice game for tots. This game helps them to be strategic and creative in their approach. This looks like something my Shawnix will like. It sound like fun and makes kid think. I haven't played Scavenger Hunts yet but I think it'll be great to stimulate a child's creativity and improve their minds play strategy-based games.